From 10 am – 2 pm kids will converge in downtown for the blockbuster event, with over 60 registered local business and non-profit participants. Kids of all ages can play games, learn about safety, receive goodies from area businesses, make crafts, and experience the giant sand box. Also enjoy live entertainment throughout the duration of the event. So kids (and parents! 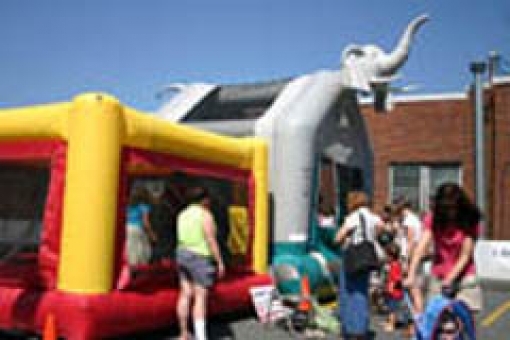 ), you are officially booked on Saturday, July 20, 2019 for non-stop fun at MedExpress Kids Day in downtown Morgantown. Information booths are stationed at Citizens Bank (265 High Street). Public restrooms are available at the Morgantown Public Safety Building (300 Spruce Street) and at Morgantown Public Library (373 Spruce Street).